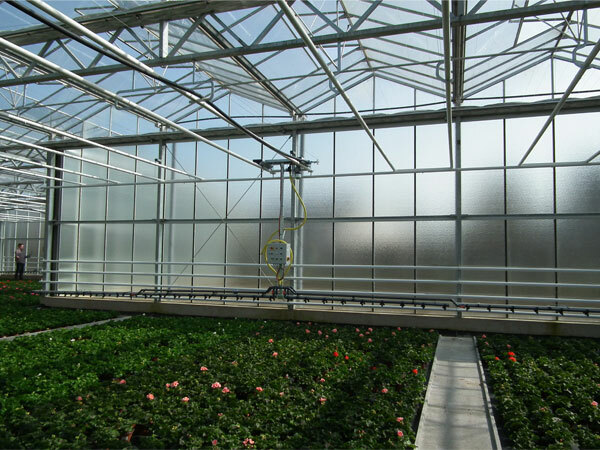 This newly developed watering boom for young plant nurseries has many advantages that fulfill the requirements that young plants have. The watering boom is being transported on two stabile rails. These rails make it possible to support the boom even when the distance between trellis in the greenhouse is 5m apart. That means: the rails do not bend when the watering boom moves along the rails. This is of great importance for young plants. 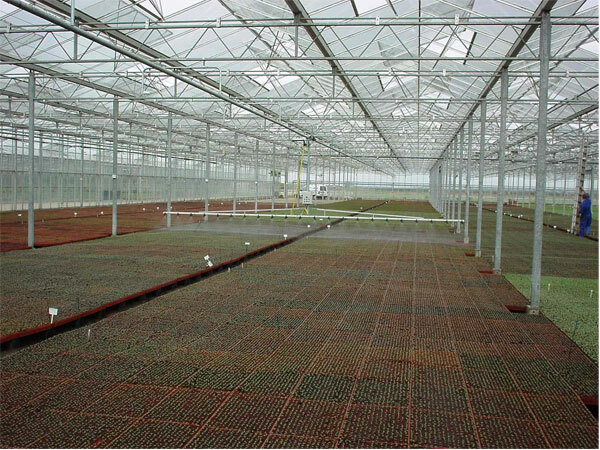 In this way, all the young plants receive an equal amount of water and are applied uniformly. The watering boom has a valve for every tap/pipe/channel, i.e. 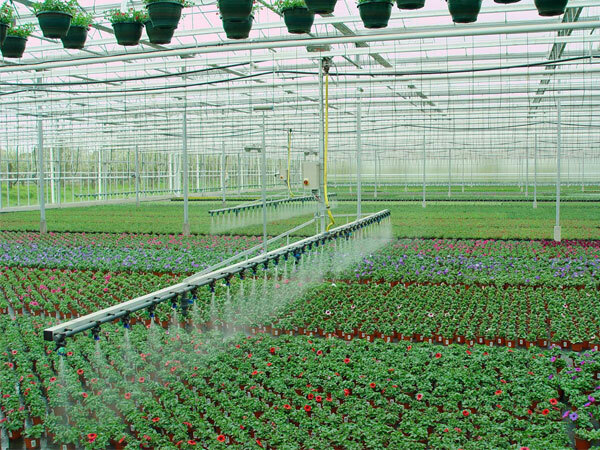 watering pipes, spray pipes and plant protection liquid pipes so the watering boom operator can turn off every tap separately directly at the watering boom. The irrigation boom carries a Dosatron (big size), as well as a mixing device with a 50 liter reservoir. 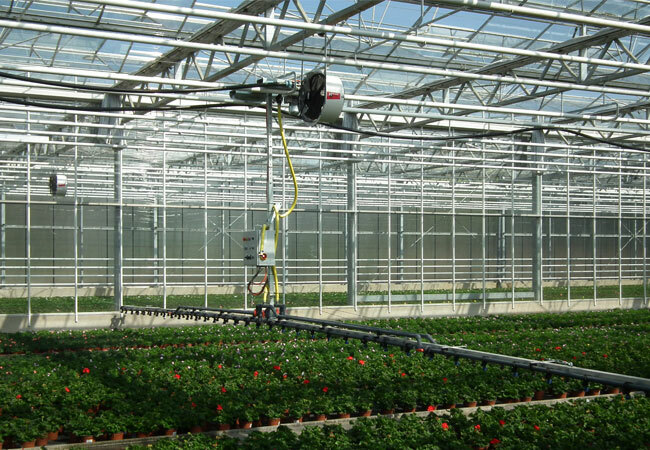 Additionally, the watering boom carries a 10 litre tank, for fertilizer solution. Software / computer control system, the most important part of this watering boom is the software system / computer control system. 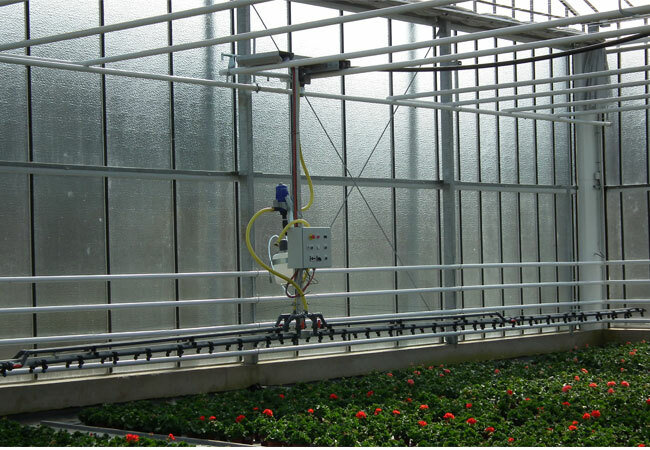 The software systems provides the following functions: The watering boom can carry out multiple commands, for example water table 2 and table 15 or supply table 23 and table 28 with plant protection liquids. 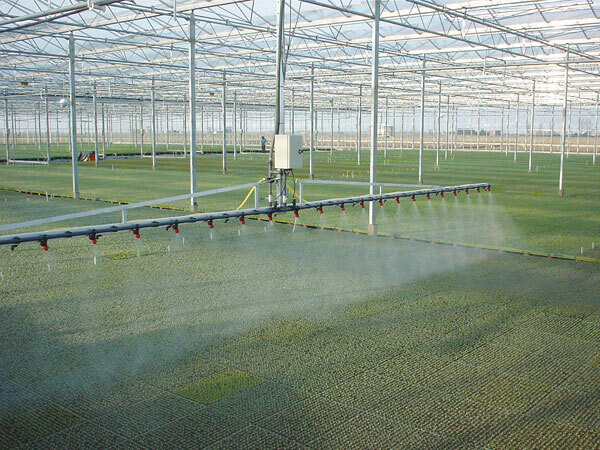 Operational command can also be programmed for hours during the night, so that the spraying liquids in the reservoir can be activated/ prepared in the afternoon for mixing and the plants can be automatically sprayed at 20h00. 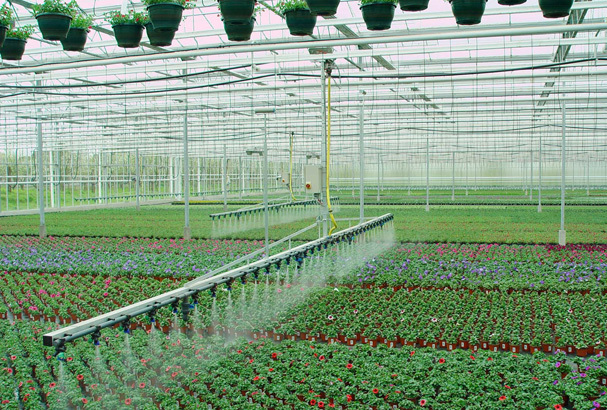 Watering boom for young plants nurseries.